The Solas Cancer Support Centre has been in existence since 1999 and based in a purpose built facility in Waterford City since 2011. The centre offers free support to those affected by cancer, their families and carers. In 2016 the Board of Directors reviewed the statistics for clients from west Waterford who avail of these services it was identified that these numbers are relatively small. Dr Brian Creedon chair of the Solas Cancer Support Centre at that time explains ‘in the past 5 years we have supported approximately 2,500 clients in total and on reviewing these figures noticed that only 170 clients from west Waterford have used the services . Of these 170 clients the vast majority are from between Kilmacthomas and Dungarvan. We feel that the distance involved is one of the reasons for this low number and made the decision to open a Dungarvan based service’. 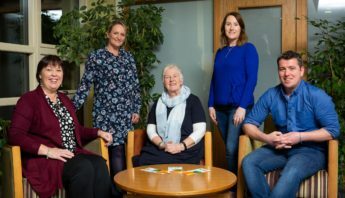 A new West Waterford Service based in Dungarvan opened in September 2016 and is located in The Alternative Health Clinic at 12 Main Street, Dungarvan. This well known business was founded in 1999 by Orla Casey, an aromatherapist and hypnotherapist, and Kevin Power, a practitioner of Traditional Chinese Medicine. 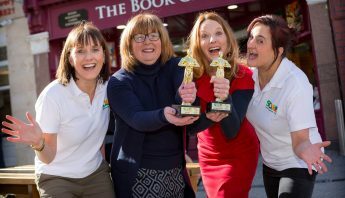 It was the first clinic of its kind in Dungarvan, and in Co. Waterford and the premises was specifically restored and redesigned as a modern clinic of alternative and complementary medicine. ‘We are very fortunately to have found such a suitable, central located premises, that is so in keeping with our services and ethos’ says Clare Shanahan, Client Services Co Ordinator. 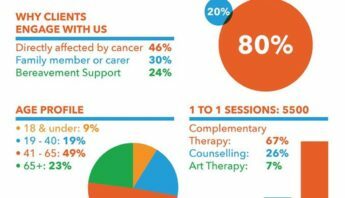 The service is open weekly on Mondays and offers a range of services including Reflexology, Massage, Reiki, Counselling, Meditation, Yoga, Art Psychotherapy and facilitated support groups. For enquiries please feel free to call the Solas Cancer Support Centre on 051 304604 or e mail info@solascentre.ie.